Here's your chance to see Amazon Go from the perspective that matters most: the shopper's. 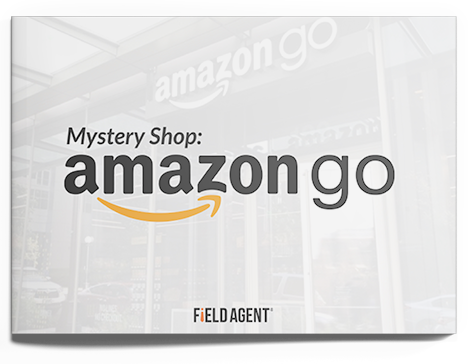 Field Agent dispatched mystery shoppers to each of Amazon Go’s six locations (as of October 2018). These shoppers, 21 in all, then shared their feedback about the experience. How would shoppers rate Amazon Go on dimensions like ease of shopping, selection, prices, and store environment? What words would shoppers use to describe Amazon Go? What did shoppers most like about Amazon Go, and what suggestions did they have for the retailer? How likely are shoppers to return to Amazon Go again in the future? Share just a little information with us on the right to download this free report!